Stinging nettle leaf extract includes both antihistamines and anti-inflammatory compounds, so this treatment works in more than one way. 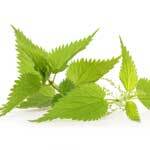 Nettle leaf benefits can include opening up airways when asthma strikes or congestion is thick. The roots of the plant can be made into an extract which can help gout, because this remedy encourages the elimination of uric acid in the body so that crystals do not form. Stinging nettle leaf extract can also benefit men who have a prostate which has become enlarged due to benign causes, which is most men who have started to reach their older years. The benefits of stinging nettle leaf extract also include the fact that this herbal medicine is packed with nutrition, unlike drugs and prescription medications. Stinging nettle leaf extract is not for everyone though, and you should always check with your doctor before starting any new treatment, whether it is herbal or drug based. There are some stinging nettle side effects, most of which are minor and usually disappear without any treatment. These can include nausea and an upset stomach, diarrhea, skin irritation, and other mild but uncomfortable symptoms. With a severe allergic reaction or any other serious side effect medical treatment should be sought immediately.